On Feb 2019, Umbraco finally launched the much promised "Umbraco 8". Claiming it to be the most advanced and easiest to use version amongst all previous versions of this Content Management System (CMS). Layering on its reputation as a "friendly CMS", Umbraco runs more than 500,000 live websites. Presumably, Umbraco 8 makes it really easy for companies of any type and size to create and deliver personalized content. That too in any language and across all digital media. Content comes in many many forms, some haven't even been imagined yet. 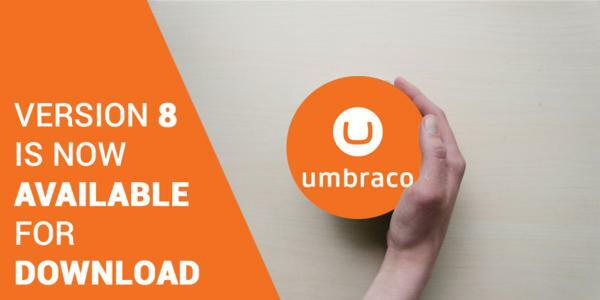 Upon release of Umbraco 8, Umbraco’s founder, Niels Hartvig, said "Content is still king, and these new features in Umbraco 8 help support the creation of compelling and highly effective content that will reach all key audiences without the technology getting in the way. With Umbraco 8, creating multilingual sites is as easy as clicking a couple of buttons. Editors can seamlessly move through a jungle of content. And content creators can get valuable insights into which content is having the most impact, and why, so they can produce what will more effectively generate what we all want from a website — more sales." Hopefully, with this new version, companies can now have the power and flexibility to deliver content for cutting-edge products, thereby solving a host of traditional CMSes limitations. Unlike other CMS platforms like WordPress or Drupal, Umbraco continuously experiments and iterates as per customer feedback. "Umbraco has always been more than just a CMS, but this release takes the powerful application development platform to the next level entirely." says a long-time gold partner and Umbraco user. "With Umbraco 8, our clients now gain a slew of modern and much-anticipated features, from content variations for multilingualization and personalization to best of breed apps and streamlined user experience." Based in Christchurch New Zealand, digital agency Tandem NZ too has been a long time Umbraco user with multiple clients using the platform to push out content in various forms. Make sure you’ve read the upgrade instructions before you attempt an upgrade. There will not be a direct upgrade path, but it will be possible to migrate content from Umbraco 7 sites to Umbraco 8 sites. Three new features: Infinite Editing, Content Apps and Language Variants. Previous features have been made simpler, smoother and enjoyable for everyone. Web developers will notice a big difference in the codebase. Umbraco 8 have added improvements and updated dependencies as well as done a thorough clean-up to make it simpler to work with. The annual 2019 Umbraco Awards are due soon and nominations are open. Categories include 'Best Cloud Solution', 'Best Custom Solution', 'Best Editing Experience', 'Best Gold Partner Solution', 'Best Certified Partner Solution', 'Best Designed Site', 'Best New Tech', 'Package Award', 'Best Content app (Umbraco 8)' and 'The Jury’s Choice Award'.